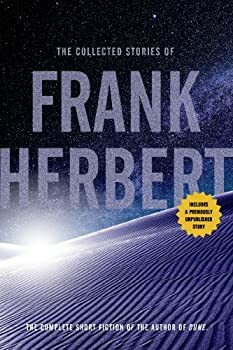 Today we welcome Brian Herbert and Kevin J. Anderson who are here to tell us about a newly published 700 page collection of Frank Herbert's stories. One commenter will win a hardback copy of this beautiful book which would make a great gift for any science fiction lover on your list. A reviewer for The New York Times once quipped that Frank Herbert's head was so overloaded with ideas that it was likely to fall off. He was a repository of incredible, wondrous information, and a writer of fabulous stories — both at novel length and in shorter forms. His words captivated millions of people all over the world. 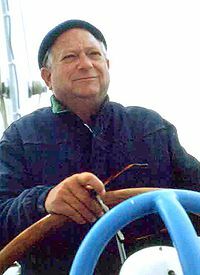 Jack Vance passed away on May 26, 2013. He has been a major influence on science fiction and fantasy since he published The Dying Earth in 1950. We'd like to thank author Matthew Hughes for sharing what Jack Vance meant to him. When you're young and on the upward curve of your life, you're in the business of doing things for the first time. Most of those things — your first kiss, your first date, your first car — you look forward to. Some of them — your first job interview, your first "we need to talk" talk — not so much. Today we welcome Phillipa Bornikova whose first novel This Case is Gonna Kill Me has recently been published by Tor. 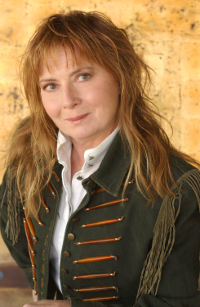 Phillipa has been the story editor of a major network television series, a horse trainer, and an oil-company executive. She lives in the Southwest. And she likes happy endings. Comment below for a chance to win a copy of This Case is Gonna Kill Me which Kelly has reviewed here. FanLit thanks Seth Jones of Free Listens for this contribution! In my previous column, I introduced you to some free audiobooks of fantasy and science fiction classics. This month's article features horror. As with last time, a link in the book or story title will take you to a full review at my blog, Free Listens. 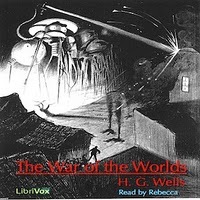 You can download the audiobooks by either clicking on the link to the publisher’s webpage or by right-clicking and saving the mp3 file in brackets. To get ready for Halloween, there's nothing better than a well-told scary story, unless it's a free well-told scary story. Happily, plenty of good free horror audiobooks are readily found. In my last column, I introduced you to some free audiobooks of fantasy classics. This time, I'll do the same with fantasy literature's kissing cousin, science fiction. As with last time, a link in the book or story title will take you to a full review at my blog, Free Listens. 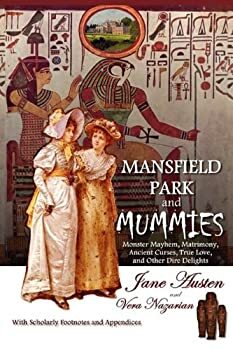 You can download the audiobooks by either clicking on the link to the publisher's webpage or by right-clicking and saving the mp3 file in brackets. A number of free audiobooks are available for legal download on the Internet, but finding the good ones takes some effort. I write Free Listens, a blog focused on reviewing the best free audiobooks and audiostories available in all genres, from science fiction space operas to literary classics. 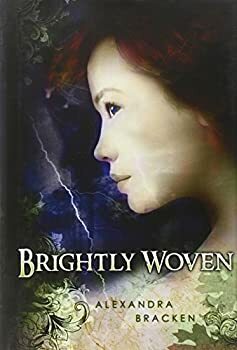 I've been asked to write a series of occasional guest columns for this site, focusing on the best free fantasy audiobooks. For this introductory post, I'd like to point out some of the acknowledged classics of the genre. 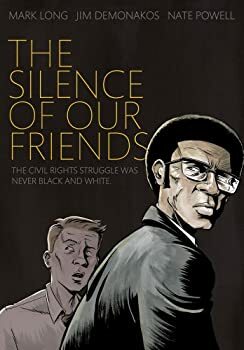 In the blurbs that follow, my full review at Free Listens can be found by clicking on the book's title, while a link to the publishing website in parenthesis is followed direct link to download in brackets. 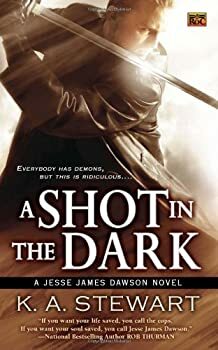 A Shot in the Dark continues a few months after A Devil in the Details, with Jesse James Dawson mostly recovered from his last demon death-dance and tornado tango, but still suffering from nightmares of an earlier near-fatal demon fight. His annual Colorado camping trip with his buddies should provide ample opportunity for rejuvenation and recreation. A walk in the woods, dodging paintballs and pine cones, to a mountain cabin retreat should fit the bill. His hiatus from demon hunting sputters when Axel, the demon personally plaguing Jesse, invites himself to the pre-vacation barbecue at the Dawson home, despite the wards maintained by Jesse's wife on the house and the yard. Axel acts strange, even for a demon, and attempts to warn Jesse against making the camping trip, but Jesse just wants Axel gone and ignores the friendly overtures. 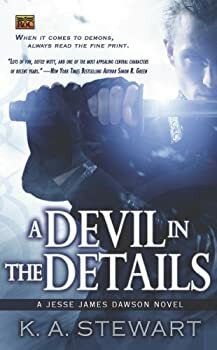 A Devil in the Details introduces us to the wry and wiry Jesse James Dawson, a 21st century Midwestern samurai who saves souls in the best tradition of The Seven Samurai. If you sold your soul to the devil, or one of his demonic henchmen, who you gonna call? JJD, of course, or one of his fellow demon-fighting champions. His wife, Mira, a practicing Wiccan white witch, owns a shop in Westport, a trendy Kansas City district of specialty shops and bars. Together they attempt to corral their young daughter, Annabelle, appropriately nicknamed Hurricane Anna. Ivan, a retired Ukrainian demon killer, mentors Jesse and several other champions scattered around the globe. When two champions fail to report in, Ivan warns Jesse and travels to Mexico to investigate Miguel's disappearance. The Door Within grabbed my attention immediately. 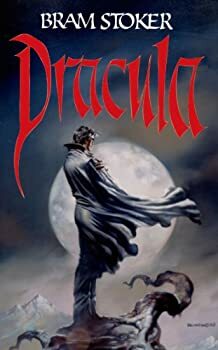 While I read fantasy novels continuously, I don't always indulge in the young adult action-adventure flavor of fantasy. Aidan Thomas faces his rite-of-passage on two fronts. His parents relocate to care for Aidan’s grandfather, depriving Aidan of his friends and familiar environs. 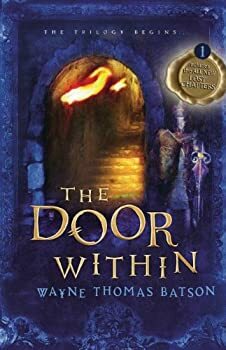 He discovers and reads some scrolls that transport him to The Realm, where he trains rigorously to become an elite warrior of King Eliam and join the fight for the hearts and minds of the people of Mithgarde. An accomplished warrior and Glimpse (similar to a Knight in our world) named Gwenne befriends Aidan. The King’s Captain, Valithor, only survivor of the treachery and betrayal by Paragor, sets high standards for the warrior trainees, tempered with kindness. 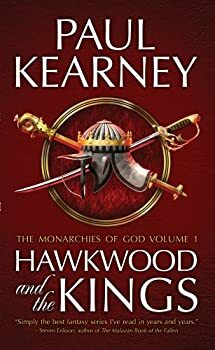 I was introduced to Paul Kearney’s writing when I read The Ten Thousand, and I instantly loved the way Kearney does his brand of historical fantasy. His focus is on a Greek-like, Bronze Age civilization peopled by the Macht, a war-like civilization of city-states very much like the Greece of ca. 400 BC. 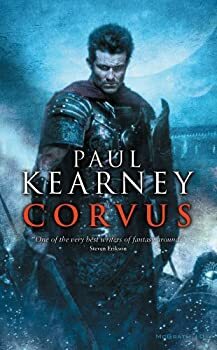 In both The Ten Thousand and Corvus, Kearney uses ancient history as a broad structure for telling a tale of war in all of its bloody horror. 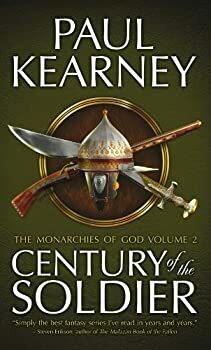 Century of the Soldieris the omnibus edition of The Iron Wars (1999), The Second Empire (2000) and Ships from the West (2002), and is the concluding volume of Paul Kearney’s re-issued The Monarchies of God. 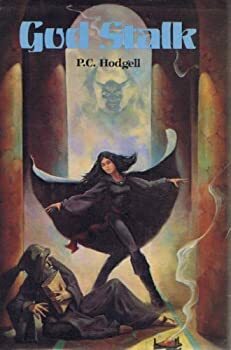 It is as compelling and readable as Hawkwood and the Kings, and while it does not enjoy five-star status with its predecessor, it is an excellent conclusion, and I stand by my statement in my previous review: any person who loves good epic fantasy must read these books. 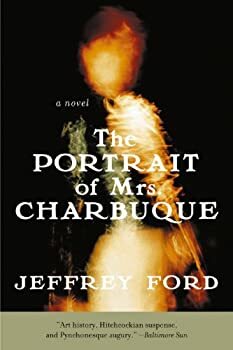 The best thing about being my own master when it comes to choosing what I want to read is that when I read a book I really want to talk about I can without feeling like I have to put aside any other obligations, and I really want to talk about The Portrait of Mrs Charbuque. 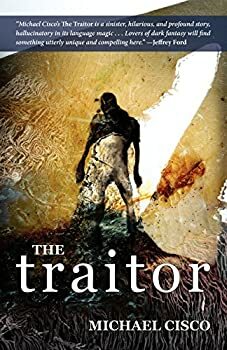 A good friend of mine who has excellent taste recommended The Traitor to me. I had heard of Michael Cisco, mostly through people like Jeff Vandermeer and Jeffrey Ford saying nice things about his work, but until now I hadn’t read any of his novels. With strong recommendations from three people who opinions I rate highly I expected quite a lot, and I have to admit I wasn’t disappointed. 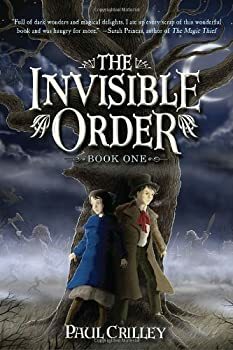 When Kage Baker died from cancer earlier this year, I was regretful that I had never gotten around to reading any of her work. 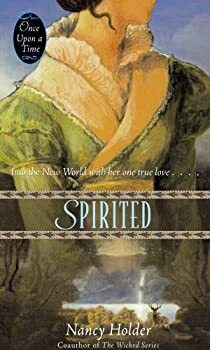 I had always heard good things about her writing, both from friends and from other writers, and had seen she had been nominated for a number of writing awards I value. I always intended to get around to it, but we all know what our reading piles are like and I never did. 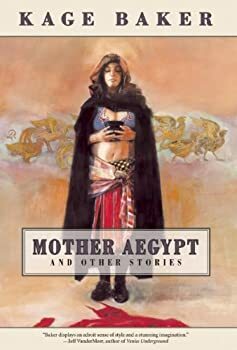 Wanting to read her work, I ordered Mother Aegypt from Night Shade, as I am a firm believer in starting with an author’s short stories if possible, prescribing to that old adage that if you can’t tell a good story in ten pages, you can’t tell a good one in two hundred. 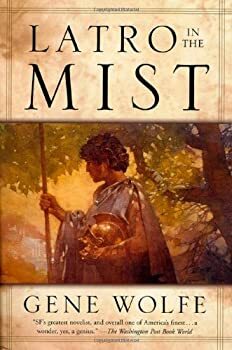 LATRO IN THE MIST is the omnibus edition containing two of Gene Wolfe’s historical fantasies set in ancient Greece: Soldier of the Mist and Soldier of Arete. They tell the story of Latro, a Roman mercenary wounded while fighting on the side of the Persians at the battle of Plataea. 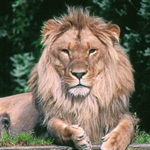 The wound to the head robs him of most of his long term memory as well as his short, limiting him to only about twenty-four hours before he forgets. The other effect is that Latro finds that he is able to see the gods, mythical creatures and the spirits of the dead. On the advice of an oracle of Apollo he sets off on a quest to restore his memory so he can return home that takes him across most of Greece meeting both minor and major deities, as well as famous historical figures. 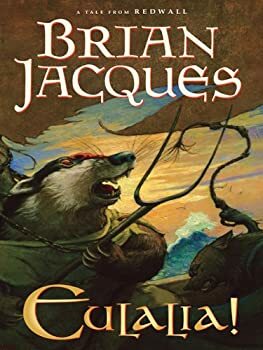 Torn from his humble home in the Northern Isles, Gorath the badger is taken captive aboard the feared vessel Bludgullet captained by the feared Viska Longtooth, a savage and crazed fox with an unquenchable blood thirst. Meanwhile, far away in the heart of Mossflower Woods, a young thief is exiled from the great Redwall Abbey. Orkwill Prink, a spirited and energetic hedgehog, forges ahead into the unknown to seek his fortunes in the wider world. Orkwill is unaware, however, that he is soon to cross paths with the mighty badger and a crew of vile vermin. Ten years. A long time to go without rain, but the citizens in Sydelle’s small country town are used to it by now. Until one ordinary day when Wayland North wanders into the sleepy community and brings rain with him. We're big fans of C.S. 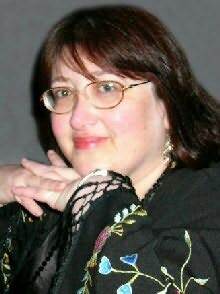 Friedman (see our reviews here) and are pleased to present this interview which was conducted for FanLit by our friend R.K. Charron. Thanks, RK! 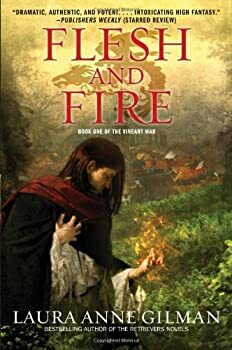 Flesh and Fire: Where’s the fire? Jerzy is a slave. He has never known anything but slavery in the Master Vineart’s fields, toiling away at the grape vines that create the magical wine that is so coveted by the powerful and all of the Vinearts. Jerzy’s life is uneventful until one fateful day when he happens to get a face full of the grape mash and feels something magical in the wine. Knowing death is certain now that he, a lowly slave, has tasted the magical brew, the Master summons Jerzy to the main house. But instead of walking to his execution, the master gives Jerzy a test and takes him on as his apprentice. It seems that Jerzy has the gift to craft and use spellwines.